This is a perfect time to visit Jackson’s Grant and see first-hand the thoughtful planning that has gone into this community. 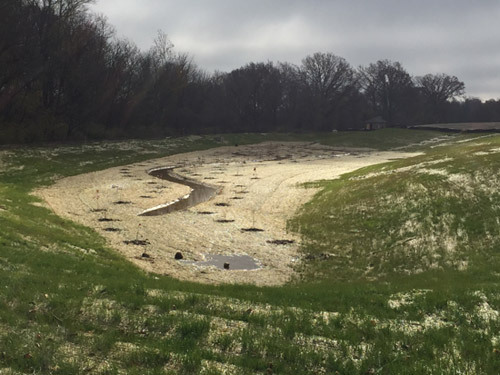 Artificially created retention ponds, and all of the chemical treatments they demand, have been replaced with beautiful “rain gardens” to gently manage the watershed. 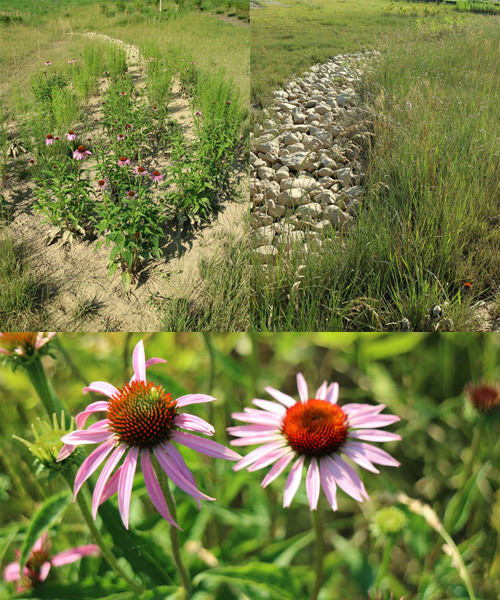 Rain and snow runoff is naturally guided through these rain gardens placed strategically throughout the community. 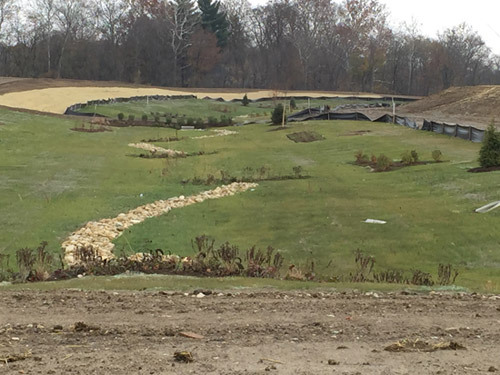 These rain gardens, are landscaped with beautiful flowers and shrubs native to central Indiana regaion and selected specifically to create healthy ecosystems. Completed rain garden adjacent to Williams Creek. Completed rain garden in Wesvale/Creekside area. 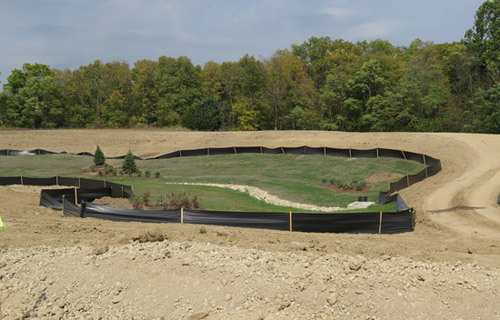 Completed rain garden in Westvale looking towards The Williams Creek Nature Preserve. 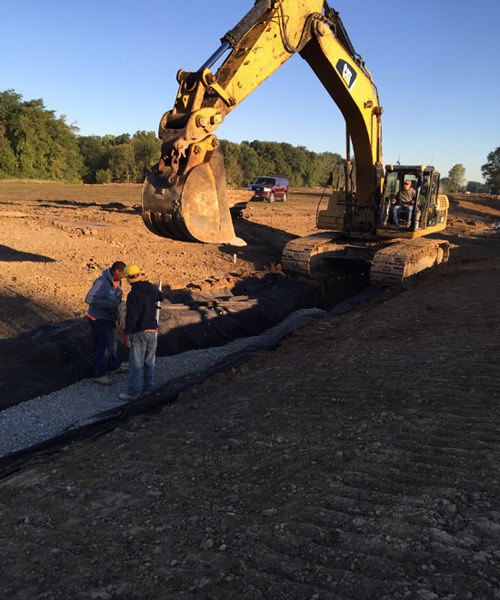 Rain garden construction in Creekside. 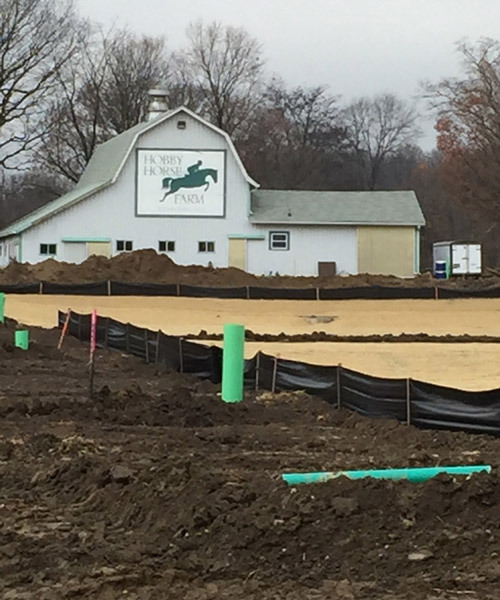 Rain garden construction adjacent to the Hobby Horse Activity Center in Stableside.